Have you always wished for a better life and couldn't hope to live one in your country? Does Australia seem to you the land that can fulfil your dreams? 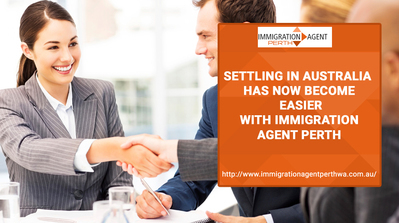 What you need now is an expert who can help you in immigrating to Australia. Immigration Agent Perth can connect you with such experienced immigration consultants who can support you in the immigration process. They can help you in choosing the most suitable visa class, applying for it and obtaining one. For any queries regarding immigration, connect with us through our number (08) 6245 1246 or you can go to our website www.immigrationagentperthwa.com.au. If you are already in Australia and want to inquire about visas, you can also come and meet us at U6/309 Hay St, East Perth WA 6004.